It doesn’t have quite the same context as it did with former Mariners closer Fernando Rodney, who earned that moniker and others like it. But the hope for the Mariners is that ninth innings in 2016 will be less experience and more ease and formality following a season in which they blew 24 saves and turned the end of games into unpredictable adventures. On Monday, the Mariners announced the signing of free-agent reliever Cishek to a two-year contract. General manager Jerry Dipoto cleared up any questions regarding Cishek’s expected role with his first comments during a media conference call. Though the Mariners don’t release financial details of contracts, sources confirmed that Cishek will make $4 million in 2016 and $6 million in 2017. The contract also includes up to $7 million in incentives. To make room on the 40-man roster for Cishek, left-hander Rob Rasmussen was designated for assignment. The Mariners were one of a few teams in baseball without a defined closer on their roster. They pushed that opportunity on Cishek. Cishek wasn’t holding out for a closing job, but it made the Mariners an easy choice. 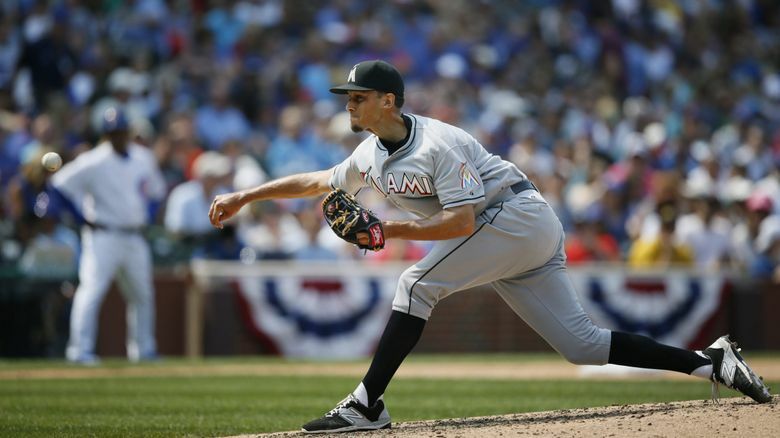 Cishek, 29, began the 2015 season as the Marlins’ closer — a role he had held the previous two years. Early struggles in the first two months forced him out of that role. In his first 19 outings of 2015 he posted a 1-5 record with four saves and a 6.58 ERA. “I came into spring training, and my arm slot was quite a bit lower than it had been in the past,” he said. “As a result, I was losing velocity and my slider didn’t have as much bite. What was ironic was I had like the best spring training of my career. I was just throwing everything I wanted to. It was really bizarre. Cishek was sent to Class AAA to work on his mechanics in May. He was recalled and began to pitch well in a setup role. The Marlins traded him to the Cardinals at the trade deadline. Over his final 40 appearances of 2015, including his time in St. Louis, Cishek posted a 1.75 ERA in 36 inning as a setup man. “Now that the season is over with, I realize that with a lot of relief pitchers — we don’t have the consistency of starters with our innings pitched — and we go through times like that throughout our career,” he said. The Mariners believe Cishek will bounce back to his closing form of 2013-14 so they can use Joaquin Benoit as the setup man in the eighth inning. In 2013 and 2014 Cishek saved 73 games for the Marlins. He pitched 135 innings during that span, posting a 2.73 ERA with 158 strikeouts and 43 walks. “I’m quite confident,” Dipoto said. “We are one year removed from Steve Cishek being one of the top closers in baseball. That wasn’t an accident. He did that in 2014. He did that in 2013. As we sit here, parts of six seasons into his career, his level of consistency has been remarkable. Rasmussen was one of three minor-league pitchers acquired from the Blue Jays at the trade deadline last season as part of the deal that sent reliever Mark Lowe to Toronto. He was 2-1 with a 10.67 ERA (14.1 innings, 17 earned runs) in 19 appearances. Dipoto will continue to add pieces to the bullpen. But they likely will be players signed to minor-league contracts with invitations to big-league spring training. Born: June 18, 1986 in Falmouth, Mass. Notable: Last name is pronounced “SEE-schek.” … Split last season with the Miami Marlins and St. Louis Cardinals and combined to go 2-6 with a 3.58 ERA with 48 strikeouts in 59 appearances. Over his final 40 relief appearances, he posted a 1.75 ERA with 31 strikeouts. … Posted consecutive 30-save seasons in 2013 (34) and 2014 (39), and his 73 saves over that two-year span ranked fourth in the National League and eighth in the majors.